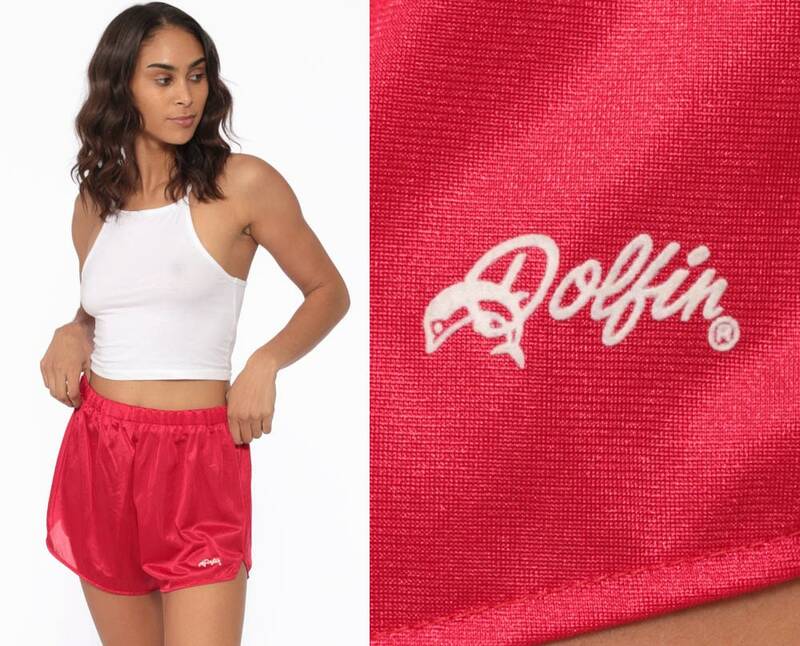 Vintage 80s running shorts by Dolfin in red. High elastic waist. Originally for men and has a sports lining. Material: Feels like Nylon with a Nylon athletic lining.